so pretty, and I love that green! I like the colors you used and the nail art came out gorgeous. 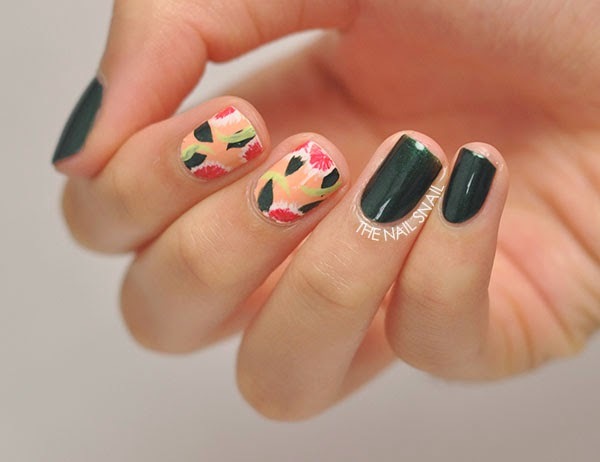 I do the same, if I see something that I like and I can imagine it on my nails, I try to pain them. Anything can be an inspiration! Thank you so much! I completely agree -- very well said! Thank you! Same here -- I tend to not like green polishes in general. I haven't been keeping up with Gnarly Gnails recently but she does do great stuff! 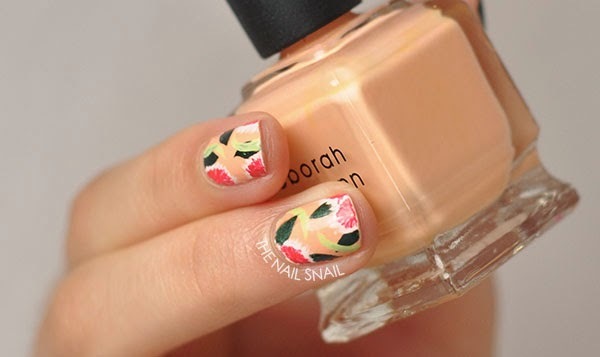 Wow this manicure looks just perfect! Lovely! 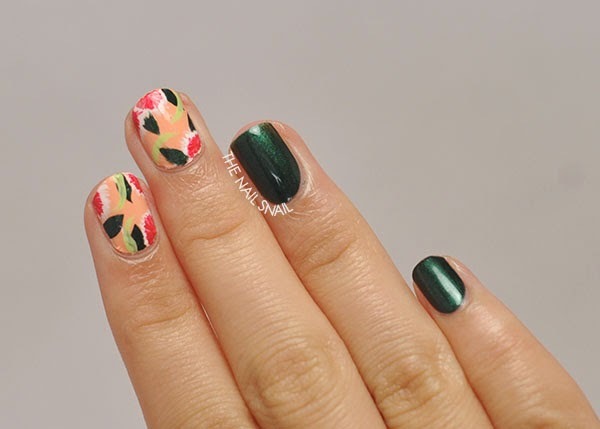 You made dark green into a summery mani--very clever!